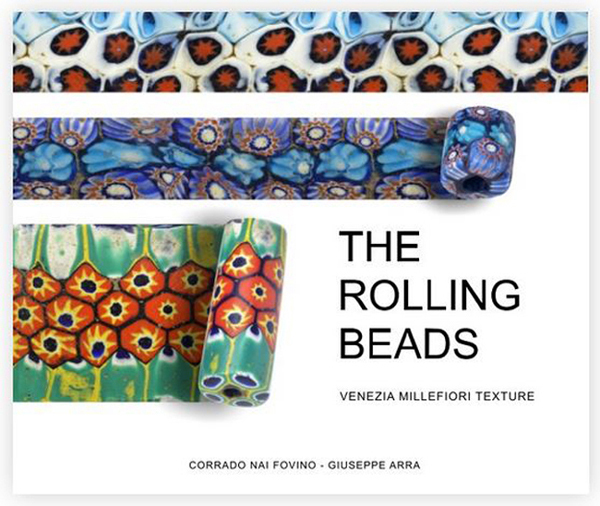 Finished a photo book about the textures obtained from the plane development of Venetian murrine. 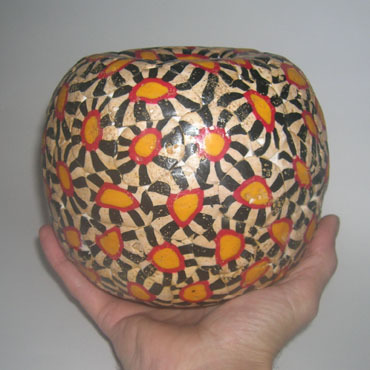 Dear Sir, I am Corrado Nai Fovino artist from Genoa and I've been working in the field of beads for the past 20 years. Some examples of my work have been published in 2001 in the American "Ornament Magazine", in an article on replicas and artistic copies of archelogical beads and their value among international collectors, edited by Robert K. Liu, author of the book: "Collectible Beads". Now my friend Geppe and me just finished 2 photo book about the textures obtained from the plane development of Venetian murrine. Paper version and ebook. As you will see from preview is a book of approximately 80 pages, with 56 high-definition photo beads. Each bead is first photographed from 20 to 24 times by rotating it to complete the 360 ​​° rotation and from these photographs we extrapolate and mount the textures that appear as unrolled beads.We wanted to explore these beautiful ornaments under new perspective! As a result we have created a photographic study and portable studio with mapping techniques concerning the textures obtained from the plane development of the cylindrical beads surfaces. We would be happy if we could find contacts between museums or collectors who would like this service for their beads. We thank you in advance and remain at your disposal for any clarification. Let us know if you are interested and if you can promote our project...We are here!